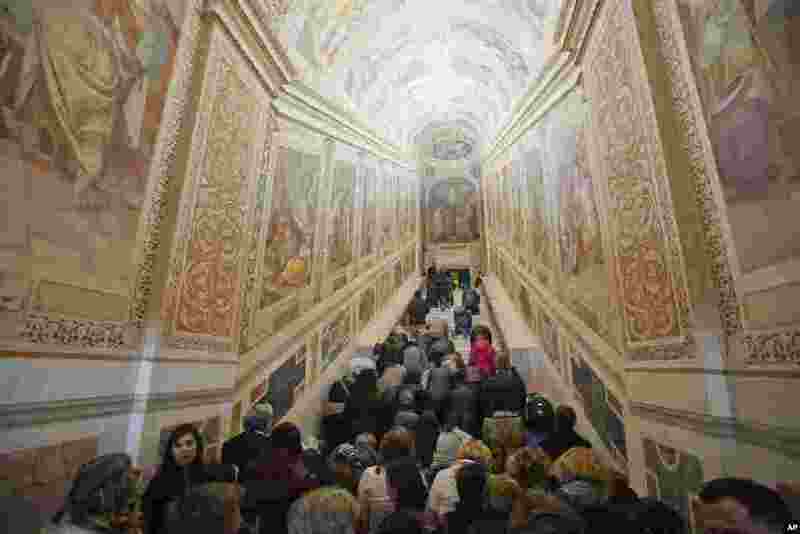 5 Faithful kneel on the newly restored Holy Stairs (Scala Sancta), which according to Catholic Church is the stair on which Jesus Christ stepped leading on his way to the crucifixion, during a special opening, in Rome, Italy. 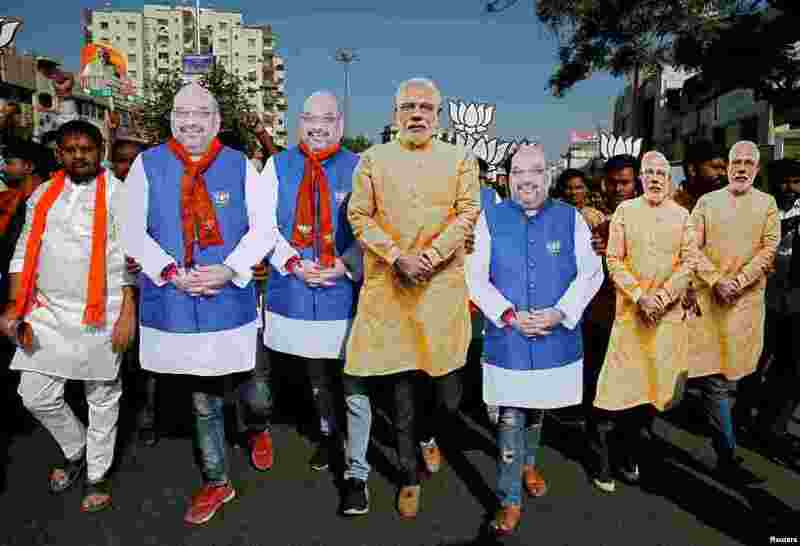 6 Supporter of India's ruling Bharatiya Janata Party (BJP) wearing cut-outs of Prime Minister Narendra Modi and the party president Amit Shah walk during an election campaign in Ahmedabad. 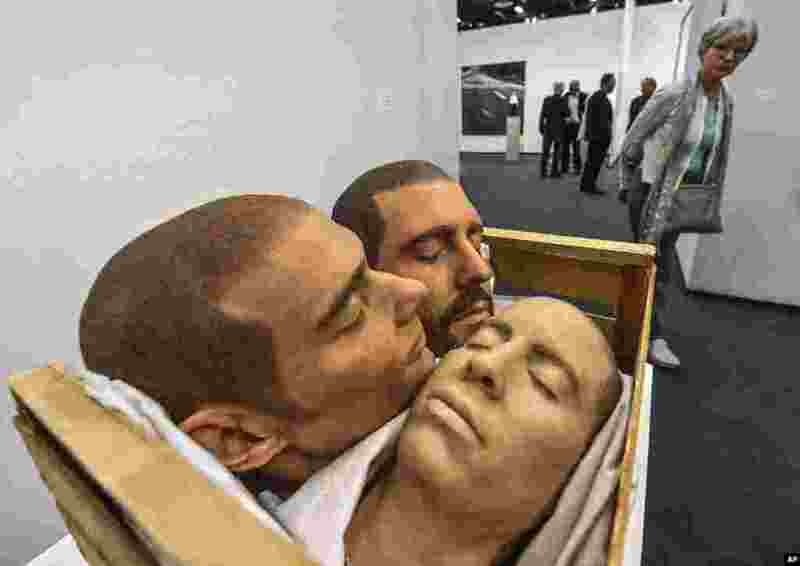 7 A visitor looks at the artwork 'Strange Fruit' by artist Gil Shachar at the Art Cologne fair in Cologne, Germany. 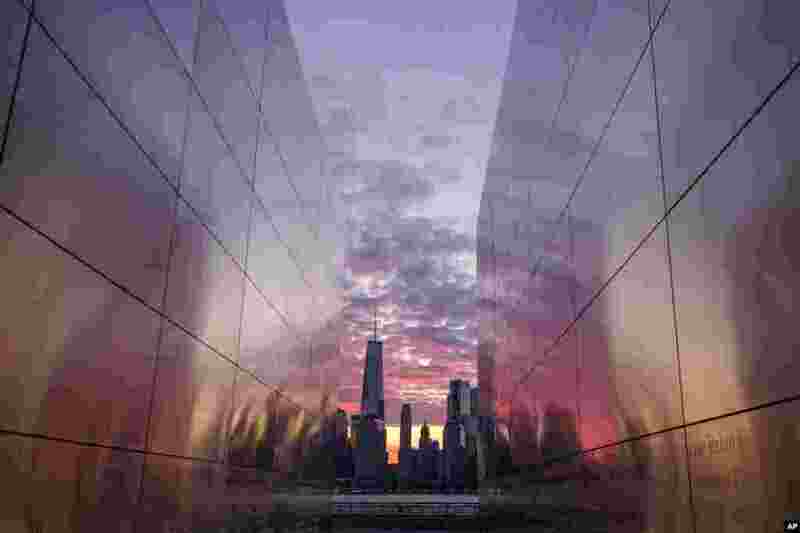 8 Framed through the Empty Sky Memorial in Jersey City, New Jersey, sunrise lights up the sky behind the New York City skyline. 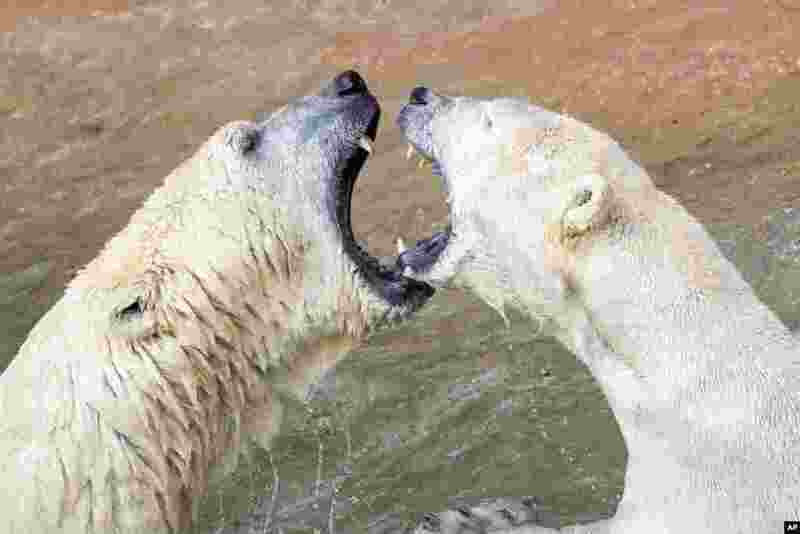 9 Polar bears Nanuq and Vera play in their enclosure at the 'Tierpark' zoo of Nuremberg, Germany. 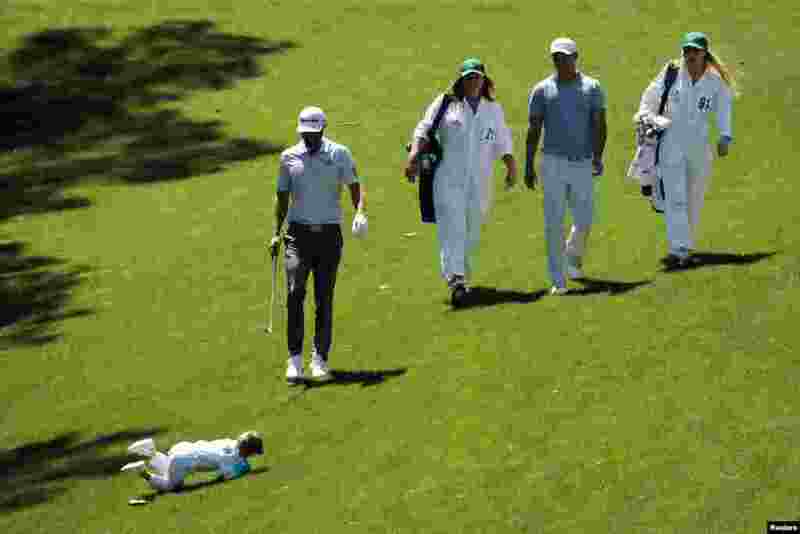 10 Dustin Johnson's son Tatum rolls down the hill as he joins his father during the 2019 Masters golf tournament's par 3 contest at the Augusta National Golf Club in Augusta, Georgia, April 10, 2019.